I was so inspired by the 30 poems Amy wrote about Orion for her NPM18 project. I thought, "What a perfect way to end the year--with an engaging, choice-filled writing workshop!" Tuesday we started our digital collections in either Google Docs or Google Slides. 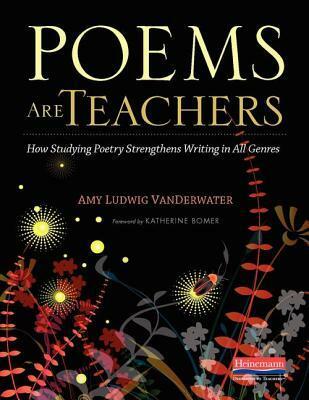 On Tuesday, the anchor poems/strategies we looked at from Poems Are Teachers were write from first person, start with a question, and use repetition. On Wednesday, the anchors/strategies were write from facts, write from a photo, and ask What if?. A new poetry form was invented on Tuesday. Harmony attempted a haiku, but counted words instead of syllables, so we named this form the Harmoniku. On Wednesday, Monta reversed the word count to 7-5-7, inventing the Montaiku. I was in WWII, FIGHT!! I had a terrible leader, Adolf Hitler. I am strong, proud, GERMANY! Why is this baby so heavy! I am flying at 60 mph because I’m late. Why is this baby so heavy? I betcha her parents are worried. Why is this baby so heavy! I’m almost there! Why is this baby so heavy? I’m getting tired! Why is this baby so----HEAVY! At least the baby made it when I threw her! Spain. Immigrants all over earth. Some come, some leave. Why? These are wonderful, Mary Lee! Jawahar's poem especially resonates with me, since I spent some time with refugees and asylum seekers while in Cyprus. Such wonderful parallelism in that poem, too. The ending really gets me in the gut. Powerful. You have some mighty talented students, Mary Lee! Jawaher's nearly brought me to tears, I loved the perspective in Harmony's poem, Juan has a great sense of humor, Rayon's poem left me thinking just as a poem should, and Monta painted a fabulous scene with all those hungry bats! I often think about the way your students mess about with poems and poetry, and here is another beautiful example, from Amy's ideas to tweaking rules, they are writing poems that mean something, to them. Each one has power to make us think, Mary Lee. Congratulations to them! Love seeing Amy's book in action, and so cool that your students are inventing their own poetic forms. Enjoyed reading all their offerings today. Wonderful, Mary Lee! Creating new forms is cool. Jawaher does a great job of coming at the question from different angles. I like the voice in Juan's poem -- so much personality! Mary Lee, your children are creative in what they say and in what formats they design for their poems. They must be so proud that you chose some poems to be published at your blog. Juan lets us in on his perspective at the end. I found that poem to be very interesting. Would your students be interested in writing a spring poem for my upcoming gallery (http://beyondliteracylink.blogspot.com/2018/04/spring-salutations-with-invitation-to.html)? Wow! What wonderful poems! I love how they are able to show what they've learned through poetry. What an empowering way to learn about history and current events–thanks for sharing your students creations Mary Lee–so many strong voices here! I love your format for your workshop. Thanks for sharing it - and the results! What a great workshop. We should each have our own form. I like that idea very much. Wow! Mary Lee, this isn't the first time I've wished to be a student in your class. What rich response to the prompt and the research. I'm so awed by these words. The Why is the baby so heavy question...it got me giggling. And some of the other questions. They just leave me with a sigh because the answers are still unknown. Beautiful work, Teacher! How wonderful to invent new short forms! Thanks for sharing these, Mary Lee! What a fabulous idea for a poem prompt, Mary Lee -Jawaher's poem struck a real chord with me. I laughed at the "Stork." I think that stork was carrying my friend's baby. He arrived on Wed. at 9 lbs. Jawaher's poem resonated with me, reminding me of why my grandparents came, reminding me of the refugees I spent time with as they waited in camps.